Helping you create your best self. What does your best health look like? Insurance can be confusing, we are here to help you through the enrollment process. Convenient walk-in access when you need it most. See the walk in hours for each location. 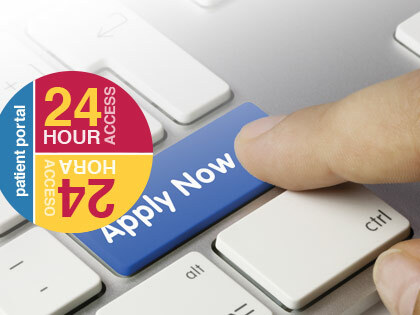 FHC is please to bring you 24 access to your health care information when you need it. Established in 1985 with a primary mission to provide high quality health care services for all residents of Okanogan County regardless of the ability to pay. Family Health Centers is a nonprofit 501(c)3 that proudly offers a diverse range of primary and preventive health care services such as: adult and child medical care, dental care, obstetrics, internal medicine, lab, WIC (Women, Infants & Children), and pharmacy. This website is intended to provide general healthcare information, not medical advice, and is not intended to take the place of one’s own physician. Family Health Centers has locations in Bridgeport, Omak, Okanogan, Brewster, Oroville, Tonasket and Twisp. Each community health center is as unique as the town in which it is located, but all share the same mission: To provide high quality primary health care in the communities we serve regardless of the ability to pay. We are the only Joint Commission accredited health care provider in Okanogan County. By choosing Family Health Centers as your health care provider, you are selecting an organization dedicated to offering you and your family high quality health care. We accept Medicaid, CHIP, Community Health Plan of Washington, Molina, Medicare and all major insurance carriers. Have a question about your insurance coverage or if we accept your insurance? Call our friendly Patient Accounts staff at (800) 660-2129. FHC is made up of responsive, effective, and compassionate teams delivering high quality, affordable care. Our goal is to improve the overall health of our entire community. For after hours services please call 1-800-660-2129 and the answering service will direct you appropriately to ensure your health care needs are met.